Business certificates are filed with the Town Clerk. General Information: The primary purpose of filing a business certificate is to protect consumers or creditors by identifying the names and addresses of the owners of the business. The filing of a business certificate does not protect a business name as does a corporate filing or a trademark registration. A business certificate filing is commonly called a “d/b/a” (Doing Business As). Any person conducting a business, individually or as a partnership, in the commonwealth under any title or name other than his real name, must file a business certificate with the Clerk of each city or town in which the business has an office. If a corporation is operating a business in a name, other than the incorporated name, they too need to file. The certificate must include the full name and residence of each person conducting the business; the place, including street and number, where the business is conducted; and the title under which the business conducted. Each person conducting the business, certifying the statements contained in the certificate are true must sign the certificate under oath. The certificate can be signed in the presence of the Clerk, or staff of the office, a notary public or a Justice of the Peace. Business certificates are valid for four years and must be renewed as long as the business remains active. If the business certificate is not renewed, the business shall be considered defunct. A list of all businesses in town registered with a DBA Certificate will be kept on file in the Clerk’s office. I am running a business out of my home. Do I still need a business certificate? Yes. All businesses, home or otherwise, must be registered according to MGL: 110 § 5, 6. In addition, before a business certificate is issued to you, your business will have to be reviewed by the Building Department to see if you need a Home Occupation permit. What is a home occupation permit? A home occupation permit is a permit that allows the person to conduct business within his/her dwelling. 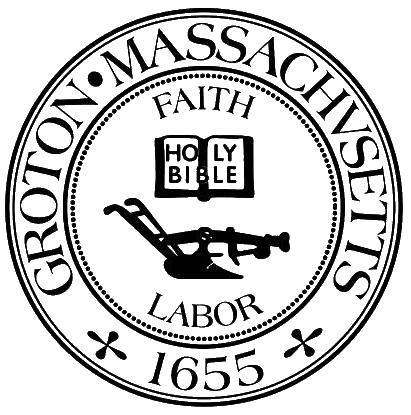 The Town of Groton encourages the concept of “Home Occupations” because business space is limited in our community. The Town’s Zoning By-law 218-16 (B) allows “Home Occupations” depending on the number of employees, off street parking, number of commercial vehicles, and other characteristics that would promote home occupations while keeping the rural charm of Groton preserved. Please view the aforementioned Zoning By-law section for more details. You can come into the Clerk’s office and file in person. At that time, you will sign the affidavit and complete the pertinent information on the in-take form. We will make a certified copy for you for your records. You can also mail a previously completed application to us as long as it has been notarized. The fee must be paid at the time of filing. See the fee schedule PDF document. Do I need to display a copy of my business certificate in my place of business? No, but you must have one available for inspection should it be requested. What should I do if my business partner retires? The person who is withdrawing from the business should file a statement of discontinuance, which must be filed in each city or town where the business certificate was originally filed. Is anyone exempt from filing a business certificate? A corporation doing business under its true corporate name filed with the Secretary of the Commonwealth. A partnership doing business under a title that includes the true surname of any partner. An association, which has complied with MGL 159 § 5, related to common carriers. Certain businesses under a written instrument or declaration of trust. Are there any penalties if I don’t file? The penalties for a violation of MGL 110 § 5 are a fine of not more than $300 for each month during which such a violation occurs.